Exporter of a wide range of products which include my super dot to dot - orange, my super dot to dot - green, empowered with a team of passionate personnel, we are engag, my super dot to dot - blue and my fun time dot to dot -yellow. We have gained recognition as an eminent enterprise, devotedly engaged in offering My Super Dot to Dot - Orange. Our offered MY Super Dot to Dot books are designed with high quality paper & printed with high quality of inks. 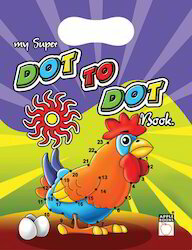 The provided MY Super Dot to Dot books is valued for kids that improve their mental strength as well as creativity. Also, this MY Super Dot to Dot books is completely checked by well-informed experts to ensure correct contents. As a quality-oriented organization, we are focused to provide our clients excellent quality My Super Dot To Dot - Green. The offered MY Super Dot to Dot books is made up of using top quality paper & best ink is used for printing purpose. 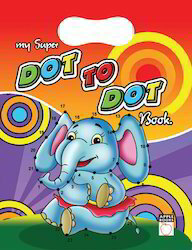 Along with that, this MY Super Dot to Dot books is checked by quality experts in order to deliver a defect free range from our end. 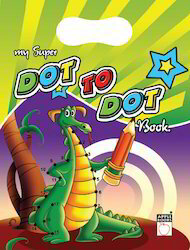 We provide this MY Super Dot to Dot books in customized printing & sizes according to the requirements of customers. Empowered with a team of passionate personnel, we are engaged in offering a broad collection of My Super Dot To Dot - Red. Offered MY Super Dot to Dot books are printed by using the premium grade inks & designed using high quality of paper employing advance machines at vendor’s end. 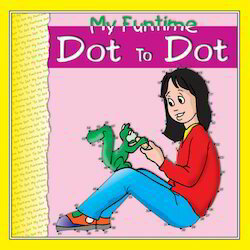 We offer our MY Super Dot to Dot books in diverse sizes & customized options according to the client’s demand. 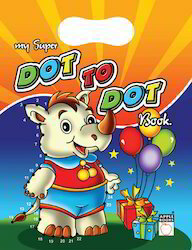 Our valuable customers can avail this MY Super Dot to Dot books from us within a given time frame at affordable rates. Leveraging upon vendor’s brilliant quality infrastructural as well as highly qualified and trained manpower facilities, we are able to provide My Super Dot To Dot – Blue. Our MY Super Dot to Dot books are printed at vendor’s end using the top quality ink and optimum quality of paper along with modern machines. Offered MY Super Dot to Dot books are checked by experts on numerous parameters so as to ensure its quality before dispatch. This MY Super Dot to Dot books are accessible in various sizes, printing & customized options according to the requirements of clients. Looking for My Super Dot to Dot ?